If you are looking for information on the Bikers Bay franchise business opportunity, Bikers Bay franchises or Bikers Bay franchising, then you have come to the right place. The Bikers' Bay is the first Ride In - Ride Out™ motorcycle service franchise. Our brand and service is unique. We are redefining the motorcycle service industry by being the first offer the convenience, value and quality of Ride In - Ride Out™ maintenance services for all types of motorcycles. This franchise service option has never been offered before; it is an idea whose time has come! 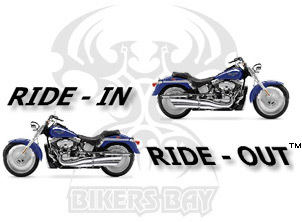 Bikers' Bay delivers unrelenting commitment to quality and service that riders can trust. Bikers' Bay has developed a comprehensive franchise program and delivery system which will give dedicated entrepreneurs the greatest opportunity for success. We have carefully crafted service packages, systems and procedures that start from the moment a customer walks into the shop and extend to a personal follow-up call within 2 business days after the service is completed. We provide our franchisees with proven operating models, effective training and business management advice all based on solid business principles and experience. Bikers' Bay has established supplier networks, customized computer systems and equipment packages that will build the foundation for your franchisee success. Bikers' Bay realizes that having solid, documented procedures is a nice start, but effective utilization of these procedures and processes is what makes it all work. Bikers' Bay training programs start on day one and include instruction on business planning, site selection and build out, product procurement, financial management, shop management, operational procedures, and product knowledge. We are committed to making our franchises successful and offer continued training and support throughout the life of the franchise. Prior to certification as a Bikers' Bay franchisee, a franchise manager and at least one technician must complete the Bikers' Bay operational training course. The training is a combination of classroom and hands on experience. Training is taught at a working corporate store and our training center located in Phoenix, Arizona. After successful completion of the initial training and procedures courses, Bikers' Bay will periodically conduct operational reviews and our field operations staff provides on-site assistance. Bikers Bay offers franchisee immediate support through our technical support line, staffed by experienced professionals who are ready to answer questions and provide personal assistance. 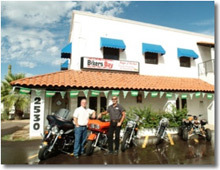 Bikers' Bay provides each franchisee with advertising and marketing support. We have developed media packages and materials, which outline company promotional and marketing objectives, and suggestions for local advertising programs. Updates to the marketing materials are made from time to time along with information explaining their uses. We work with each Bikers' Bay franchisee to help generate maximum results from their advertising dollars. At Bikers' Bay, we are bikers and have found a way to mix business and passion. We look for owners, who share this passion and are willing to work hard to maintain the entrepreneurial spirit that got us started and has fueled our success. We promote innovation by constantly looking for new and better ways to serve our customers. A successful franchise owner is customer-oriented; has successfully managed a business or department; understands financial management and maintains strong business and personal ethics. Experienced management team - Bikers Bay executive management team has over 100 years of highly successful business management and start up experienced, motorcycle service and dealer management, mechanical expertise and franchise system management experience. Unique Menu of Services - We are the one stop shop for general maintenance services: oil changes, tires, batteries, brakes and interval services. Bikers' Bay does not perform internal engine work. Our "bolt-on" parts catalog contains 500,000 items-all poised for delivery in 24 to 48 hours. The power of a franchise group - Due to our combined purchasing power, Bikers Bay has negotiated with our vendors and suppliers to provide significant benefits to our franchisees. 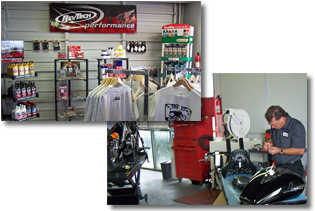 Bikers Bay has pre-arranged sources and packages for the basics elements required to open your shop from equipment to parts suppliers, computer systems, advertising, and even certified staff.